For almost fifty years the multi-platinum, Grammy-winning soft rockers AMERICA have been cruising the airwaves and cacti-ridden highways with their harmony-laden tracks including ‘Ventura Highway’, ‘You Can Do Magic’ and the infamous ‘A Horse With No Name’. The duo return to Australia for another euphoric tour down the memory lane of classic rock. The trio was formed in 1970 by Gerry Beckley, Dewey Bunnel and Dan Peek (the latter departed the band in 1977 and rediscovered Christianity). America’s rise to fame is almost dizzying thinking about it – they met at high school as their fathers served in the American Air Force, formed in 1970 and signed with Warner in 1971 with their highly successful debut album in tow not long after, featuring the singles ‘A Horse With No Name’ and ‘I Need You’. America are listed up there with other known figureheads of soft rock including The Eagles, James Taylor and Crosby, Stills, Nash & Young. Over nearly fifty years since their inception, they have worked with longtime Beatles producer George Martin and released eighteen studio albums. Their lengthy discography includes the bouncy ‘Sandman’, ballad ‘I Need You’, the Wizard Of Oz-inspired ‘Tin Man’, a cover of The Mamas And The Papas’ 1966 hit ‘California Dreamin’’ and of course the signature song ‘A Horse With No Name’. The latter has been featured in numerous films such as American Hustle, The Nice Guys and the video game Grand Theft Auto: San Andreas. 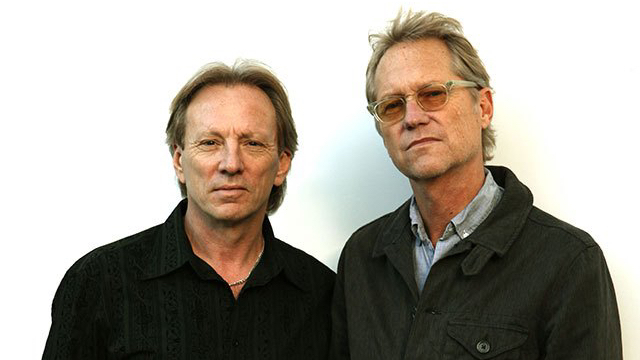 I spoke to the multi-talented lead vocalist Gerry Beckley on a crisp, breezy Tuesday morning, a scene set far from the band’s signature California sun-soaked lyrical themes that weave through a large amount of their songs. I had to let out a few fanboy moments (it isn’t every day you get to converse with a musician you’ve admired and listened to since you were eleven or twelve years old). Beckley was looking forward to the upcoming tour and seeing the sights and sounds of Australia, we even briefly spoke about the National Gallery. I asked Beckley about the time lapse of crowds since their heyday in the ‘70s and ‘80s to now, and he agreed that audiences on their phones was becoming a noticeable feature more and more. He stressed that he didn’t mind the odd photo but when someone is “checking their email” constantly, then it becomes a problem. America’s last album of original material was 2015’s Lost & Found and not much has slowed them down since then – the duo smash through around one hundred shows a year, Beckley became married and spends his divided time between houses in Venice, California and Sydney. And lastly, I asked Beckley where he finds the time to play and create music after such a long and prosperous career. His response was honest and a little dry, “I’ve been playing music since I was three years old. I don’t really have any plans to stop. It’s a gift to come down to your beautiful country.” To talk to America was an honour and to witness them live will be the same, if not a little nostalgic for simpler days and summer nights. America plays at Royal Theatre, National Convention Centre at on Thursday August 3 from 7pm. With special guest Russell Morris. Tickets from $99.90 + bf through ticketek.com.